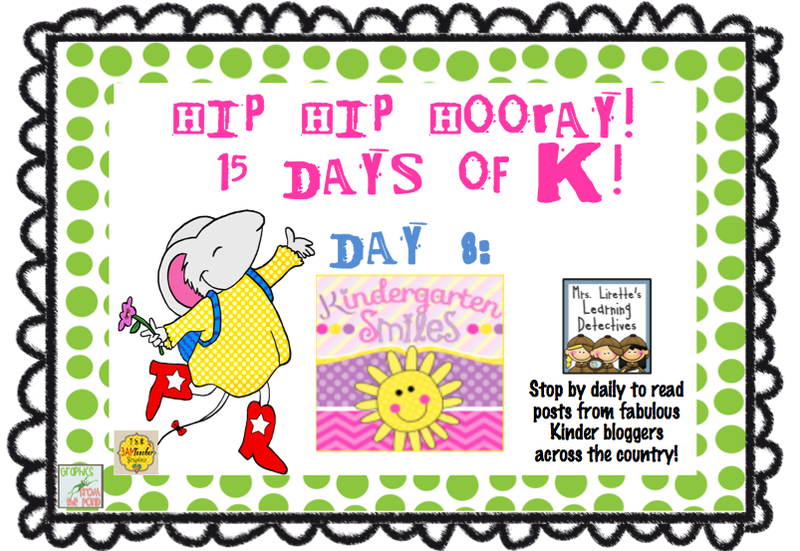 Hi Kinder friends!! I am Caitlin from Kindergarten Smiles. 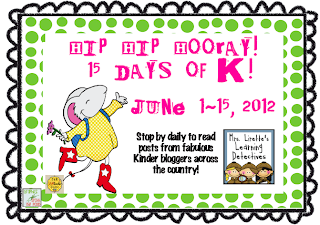 I am so excited to guest blog for Mrs. Lirette and welcome her back to the wonderful world of K!! I thought something very important to all of us Kinder teachers is being prepared for the first week of school!! This year I decided to start my year off with a Monster Unit. The unit is going to focus mainly on classroom and school rules. At my school the mornings of the first week are a little hectic. Parents are allowed to walk their child into the classroom and they all want to chit chat, hand you supplies, tell you about their child, and they all walk in at different times. So while I am handling all of this, I have the children coloring at their tables. 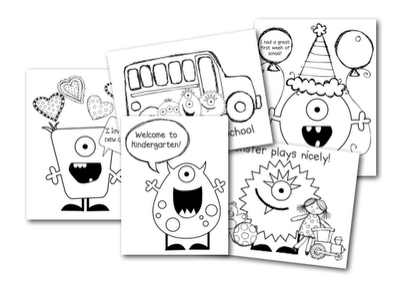 So to start off our week of monsters, I made a couple monster coloring sheets. Click the picture to download. 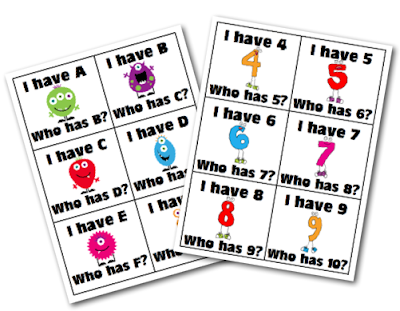 Another cute activity that I thought would be fun to play whole group is I Have, Who Has? I think this will get the children interaction and participating, all while allowing you a little sneak peak at who knows their letter names and numbers!! Today was actually my last day of school with my kindergarten kids, but I already have all my activities for the first week printed and ready to go! Hopefully this will help you get started some what! Check back on my blog soon to grab some more Monster activities!! Thanks!! Need to revisit Day 1-7? Click on the picture below. 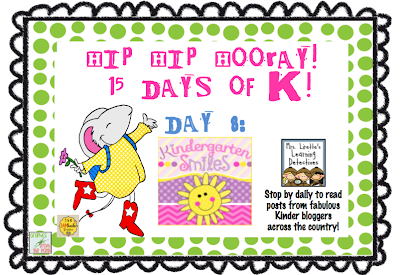 Stop back by tomorrow for Day 9 of our 15 Days of K Celebration! These are such cute activities. Thank you for sharing! What a fun way to start off the year. Thanks for all the great ideas and freebies. The Monster I have, who has is SO cute! So cute, Caitlin! I love the monster theme! Love these! Thanks for sharing. I plan to use them next year. Thank you for these!! I am doing a monster theme in my classroom! This post is so awesome! Mr. Smedley's Little Monsters!!!!! I love it all! Thanks for the great blog post! I love all the little monster stuff. Thanks so much. 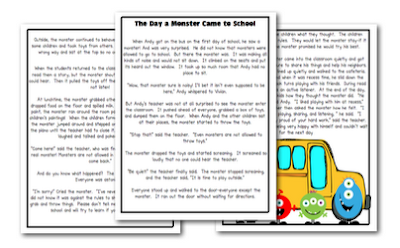 The monster stuff is so stinkin cute!I teach second grade but I pinned your freebie! I've moved and am having a giveaway at my new blog. If you have a chance, please stop by! I teach 7 years old pupils in France. I will use your game. They will love it. Thank you!Thank you! thank you! I am doing a monster theme this year and will be using this the first day!